Cheryl Mitchell is an attorney at law with more than two decades of experience. She is licensed to practice law in New York and obtained her J.D. degree in law from the Columbia University School of Law. Cheryl primarily specializes in labor and employment law. She is also skilled in dealing with legal matters that involve immigration law. Cheryl founded her own legal firm, the Mitchell Legal Group PLLC, in April 2015. "This attorney handled my application to adjust status in a very complicated situation. The result was successful." Alan Stein is a corporate attorney who has been serving corporate clients for the past 22 years. He has been licensed to practice law in New York. Alan obtained his law degree from the Touro College – Jacob D. Fuchsberg Law Center. Alan is experienced in debt and bankruptcy, as well as in reviewing, negotiating and drafting commercial contracts. He founded his own legal offices in February 1999, where he serves corporate clients in different industries. 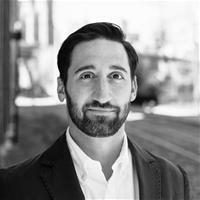 Jared Cohen has worked with some of the top law firms in the United States and has extensive experience in dealing with cases related to business operations, finance, business operations and transactions. He primarily provides his legal services to clients in the technology industry. Jared has a licensed to practice law in New York. He received his law degree from the New York University School of Law. 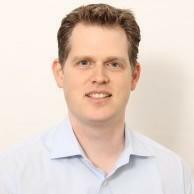 Jared has been a legal advisor to numerous startup companies since 2012. Isabelle E. Melody is a business attorney who has been serving corporate clients for over a decade. She is licensed to practice law in New York. Isabelle has a J.D. degree in law, which she obtained from the Morgantown College of Law. 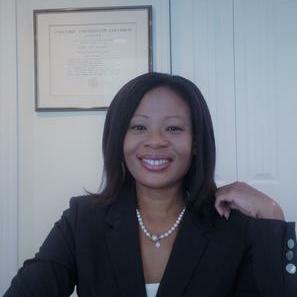 She primarily specializes in providing her legal assistance to small business and start-up companies. Isabelle is exceptionally skilled in dealing with commercial contracts. She has been serving as a general counselor at OROLIA since October 2016. Why use UpCounsel to hire a Carmel Business Attorney? Our experienced Carmel business attorneys & lawyers handle both transactional matters and litigation involving business and commercial disputes. The business attorneys found on UpCounsel offer a broad range of practice areas relevant to small businesses and their owners, including Business formation, Commercial transactions, Employment law, securities, litigation, contracts, taxes, intellectual property protection & litigation, and much more. If you are looking for a top rated Carmel business attorney that charges reasonable rates for quality work, you have come to the right place. The average business attorney in Carmel for hire on UpCounsel has over 10 years of legal experience in a variety of business law related areas to best help you with your unique business legal matters. Improve Your Legal ROI with Affordable Business Attorneys that service Carmel, NY. Want to Connect with Top Carmel Business Attorneys & Lawyers?